That's what I've christened it, it's the biggest watch I own now. Everything I write here is from a Seiko layman's perspective. Afficionados please helpfully correct any factual errors. 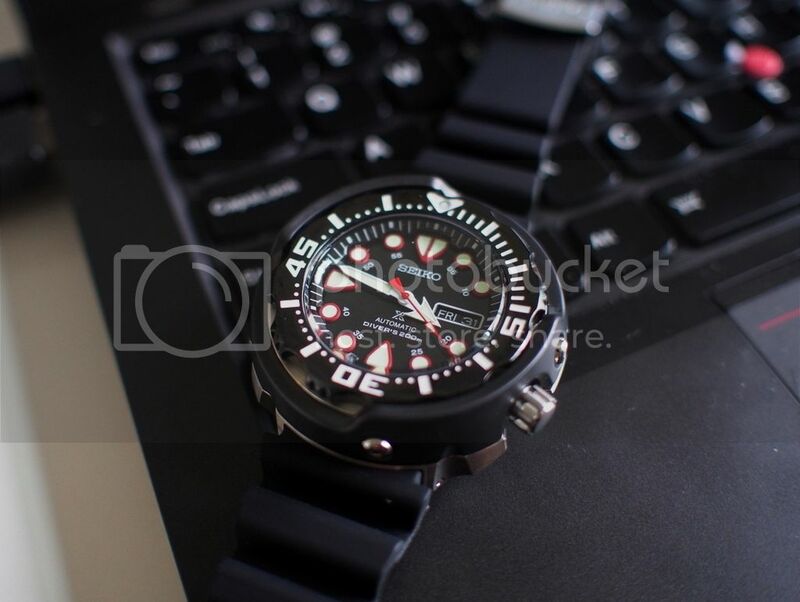 This is the Seiko SRP655K1 I believe from the Prospex line. I just picked it up a few hours ago and snapped a few pics to post here. 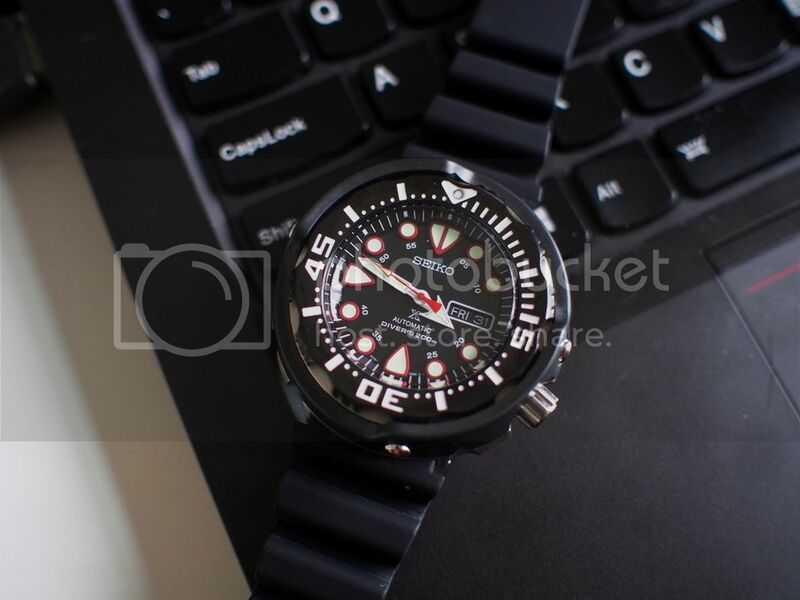 It's a typical Seiko diver dial layout as far as I know. The off-white hour indices are lined in red. The second hand is red as well. 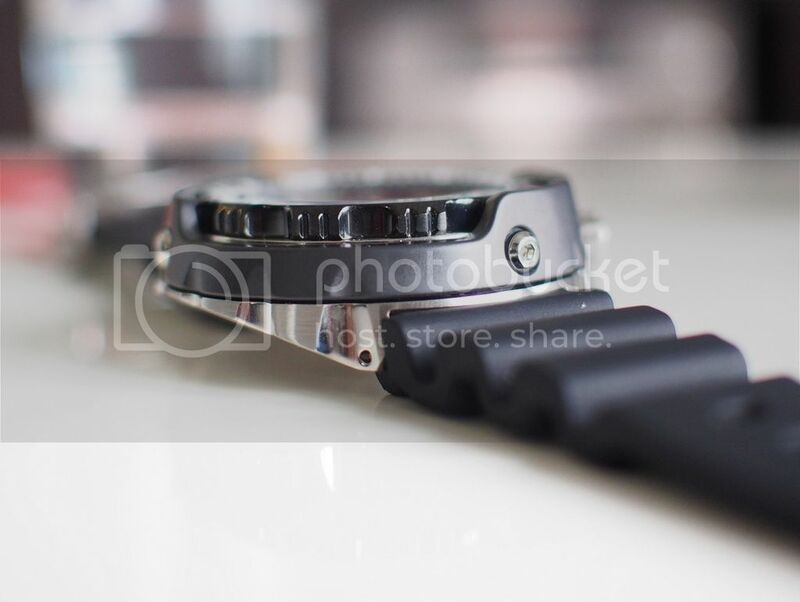 The bezel is some sort of ceramic coating with a polished shiny finish: the back of the watch has "ceramic" inscripted, and I guess it refers to the bezel. The shroud looks black from afar and in many pictures, but is in fact a graphite grey colour. I'm not sure what it's made of, perhaps a very hard rubber. Doesn't seem to give any when pressed upon. 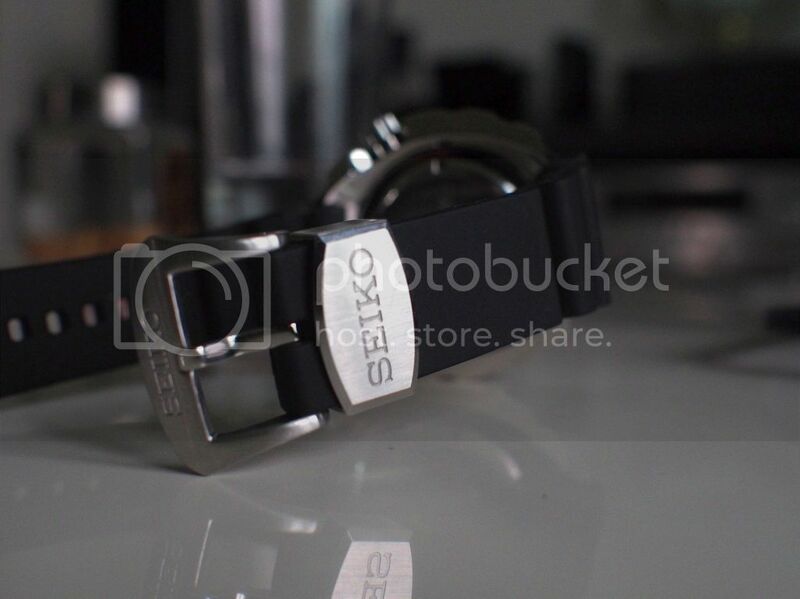 Although supposed 50mm diameter, it is extremely comfortable and fitting. And I'm sure it's due to the lug and case design. The bottom of the case is concave and the lugs are practically under the case. In fact, no lugs, just attachment points for spring bars. Case back is set in, and is inscripted "Special Edition" amongst other numbers. 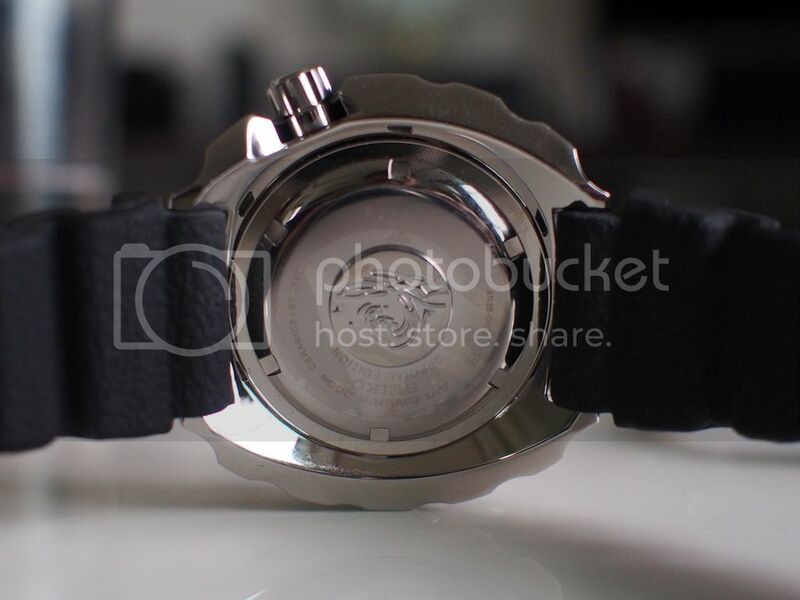 The movement is 7R36 which has day-date and allows manual wind. 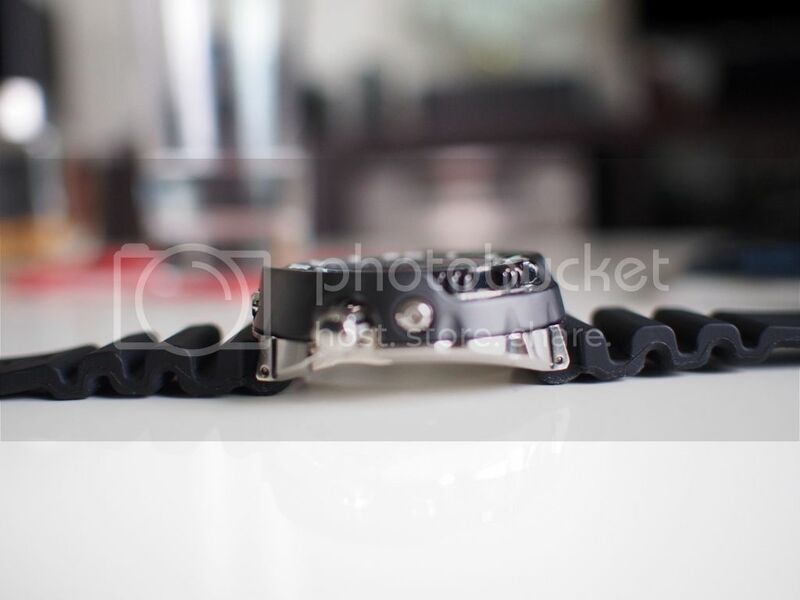 The buckle and the strap hold is in steel and both signed. Strangely the crown isn't signed. 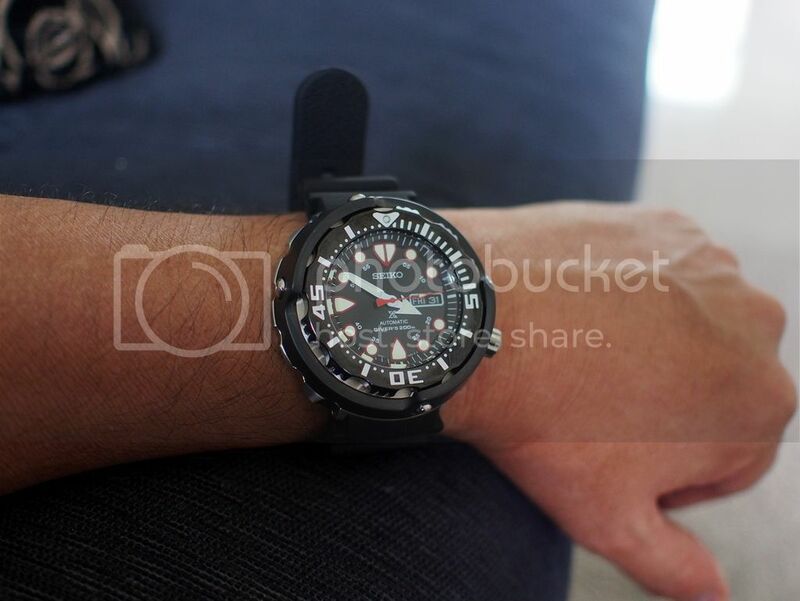 Couple of wrist shots. Straight down shot doesn't look too huge on my skinny wrists. 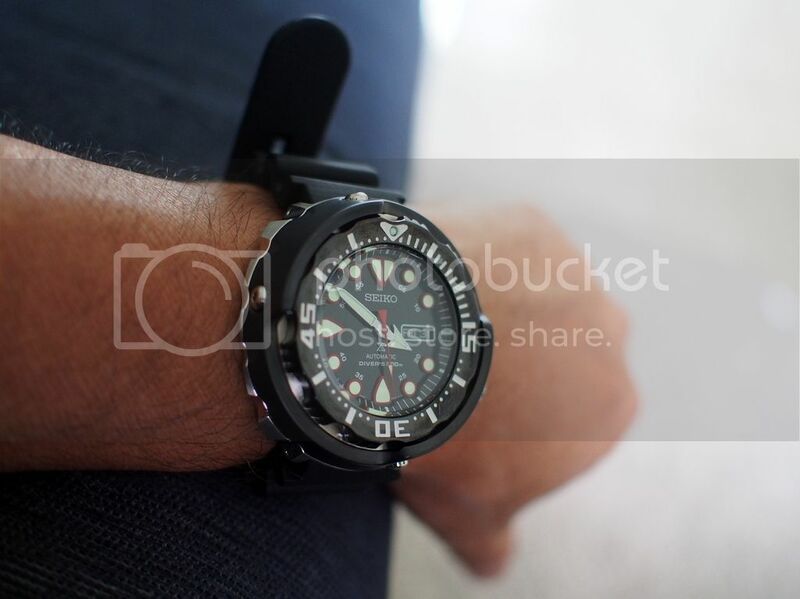 The only problem is the diver strap has a long tail made worse by my wrist size. I'm going to quickly replace this with a short strap. Angled view shows the relative heft of the case on my wrist. I can't emphasize how well it sits though. Lume is good but not blindingly great. Water resistance is 200m. I washed my hands under running water and Moby performed flawlessly. That's as deep as it will ever get. 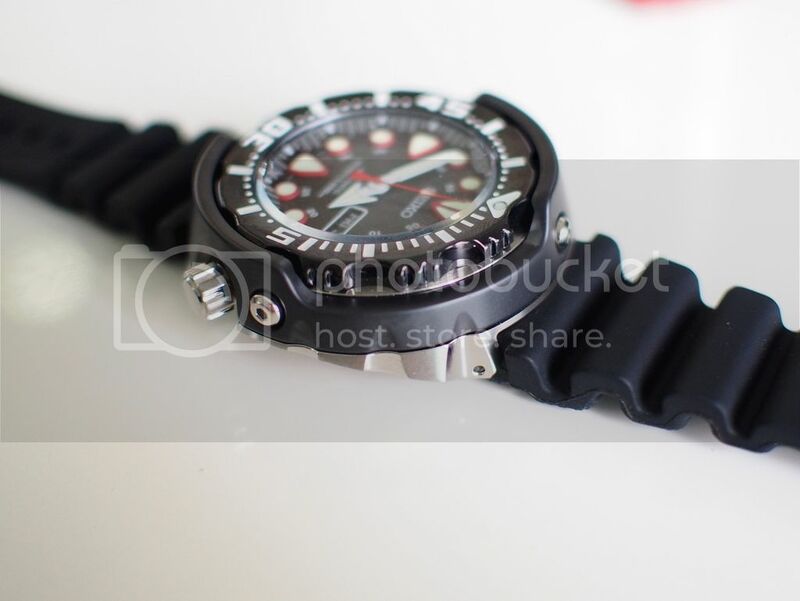 I'm so pleased with Moby, my second Seiko Shrouded Tuna watch.